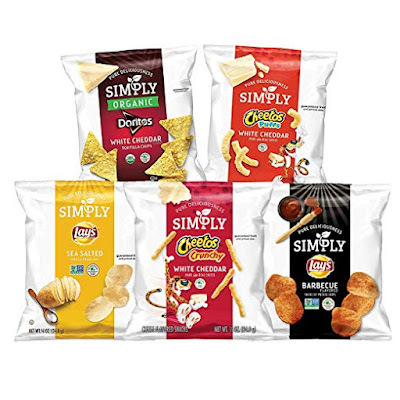 Head on over to Amazon where you can score this 36-Pack of Simply Organic Chips for just $9.28 shipped (regularly $13.98) when you clip the $4 digital coupon and opt to Subscribe and Save. That's just 26¢ per bag! This 36-pack includes 5 different varieties including Cheetos White Cheddar Puffs, Cheetos White Cheddar Crunch, Lay's Sea Salted Chips, Lays Barbecue Chips and Doritos White Cheddar Tortilla Chips.